CNC Medical is an approved medical equipment provider for the Illinois Early Intervention System. CNC Medical Equipment is dedicated to providing equipment from the best manufacturers, and education on proper equipment use to help your special needs child reach their optimal development, so they can participate in family and community activities and lead a fulfilling life. 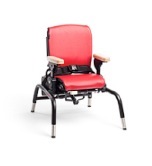 Our goal is help educate you on the best durable medical equipment for your special needs child, within the specific product category prescribed by your therapists and doctors. CNC Medical will facilitate billing, ordering and delivery of necessary equipment to ensure your child receives the equipment they need in a timely manner. CNC makes purchasing medical equipment easy. All items we carry online are shipped to your home FREE!